The governor rejected a compromise in the controversial Route 1 project that would allow some on-street parking, a key concern of local businesses. Wiscasset officials have rejected a proposed settlement with the state over a controversial traffic project after a lawyer representing the town told them Gov. Paul LePage intervened to strip out a key concession. 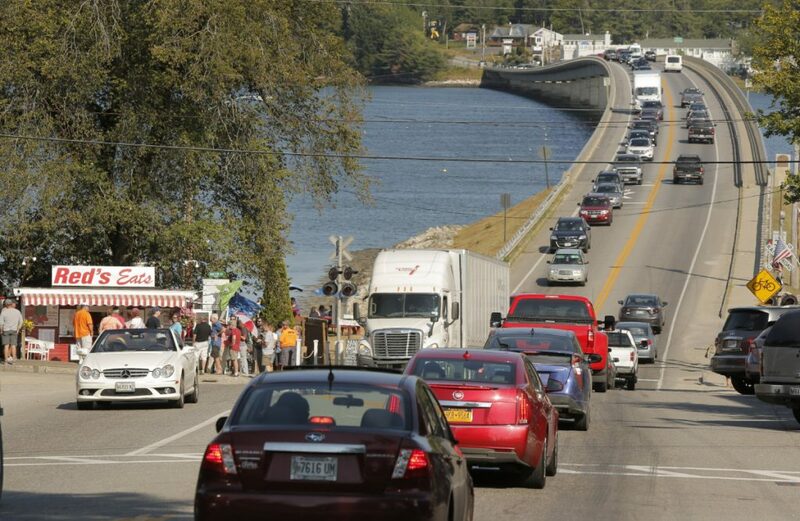 The midcoast town of 3,700 has sued the Maine Department of Transportation over its latest effort to mitigate the notorious summertime traffic bottlenecks in its historic village center after the LePage administration allegedly reneged on key promises and asserted that it did not have to comply with local ordinances. In recent weeks, however, the department and town had been negotiating an agreement to settle the dispute. But Tuesday night the town selectboard rejected the proposed settlement by a 3-2 vote, with several members expressing concern that it did not include any concessions from the state that would allow some on-street parking to remain on Main Street, a key concern of many local business owners. An earlier draft of the settlement had included eight parallel parking spaces on the street, but an attorney for the town said LePage had personally intervened to strip it out. Largely as a result, the board voted to reject the settlement, in which the department agreed to apply for local permission before demolishing the 1916 Haggett Garage to make way for a new off-street parking lot on a side street, but would proceed with the rest of their traffic project as planned. LePage’s spokeswoman, Julie Rabinowitz, declined to discuss the governor’s reported intervention, citing the ongoing litigation. DOT spokesman Ted Talbot also declined to comment. 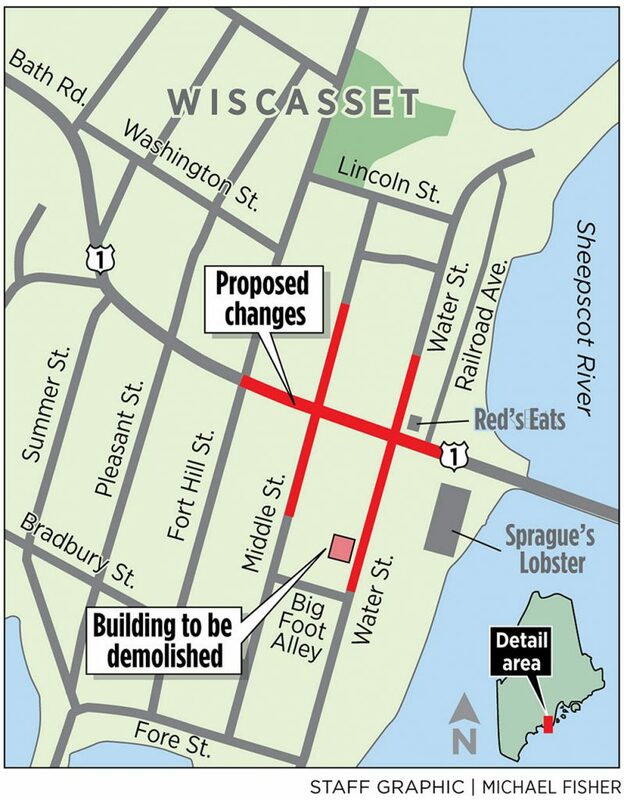 “While we will not comment on the litigation, MaineDOT intends to construct the project based on the concept previously supported by the town, which included the elimination of parking on Main Street,” he said via email. In another message, LePage, who often commutes to his Boothbay home from Augusta via Wiscasset, indicated he was fed up with traffic delays. At Tuesday’s meeting, Murray said that after LePage blocked the Main Street parking concessions, the selectboard had sought a meeting with him to explain their concerns but that the governor declined. The state’s latest plan – a $5 million state-funded project unveiled in the spring of 2016 that promises to improve traffic flow during the worst traffic jams by 12 percent to 14 percent – would make most of its gains by adding two traffic lights and “bump out” pedestrian crossing waiting areas in the village. The controversial part is the elimination of on-street parking on Main Street – currently 23 spaces – and parts of key side streets – measures that the state’s studies say account for just 2 percent to 4 percent of flow improvement. Residents and the selectboard initially supported the plan nonetheless, but majorities of both now oppose it because they say the state has not upheld its end of the bargain and has broken key promises. In June 2017, residents revoked their support in a town referendum after the state reneged on commitments to use federal funding and thus abide by the associated historic preservation and environmental reviews and requirements that come with it, and to not take any properties by eminent domain. The town’s suit, filed Nov. 28, was prompted by the state’s imminent plan to demolish the Haggett Garage, which it had purchased by invoking eminent domain in order to create off-street replacement parking. Ralph H. Doering III, whose family owns several 19th-century commercial buildings on and near Main Street in the historic village center, in January offered to pay the cash-strapped town’s legal costs to continue its legal action against the department, and a group of citizens calling themselves Citizens for Sensible Solutions on Monday also pledged to raise funds. At Tuesday’s meeting, the selectboard voted unanimously to put the question of whether to accept such donations before town residents. A special town meeting will be held this month for that purpose, though the date as not been set. The state Business and Consumer court in Portland has a hearing scheduled on the case at the end of March.